To dash against mine enemy and to win.” — Tennyson. Some brim-full flower he seeks. Thrice blest in such a death. So will I conquer thee! L. Travis White is number 4 in the picture above. Frederick High School’s Class of 1911 is once again part of the scene at the local school, at least in the form of the official class photograph presented to the school recently by Robert J. DiDomenico, executive director of Goodwill Industries of Monocacy Valley Inc. The full story of where the old fashioned studio picture spent the last 60 years will probably never be known, although it can easily be visualized gracing the living room of some proud graduate’s home. Whatever its history, the picture complete with handsome frame and glass, turned up as part of an anonymous donation to Goodwill and was spotted by Mrs. Barbara Coulter, secretary to DiDomenico, who recognized it as an interesting bit of memorabilia for the school. DiDomenico agreed that this was a fitting disposition for the photograph and it was presented to George Seaton, principal of Frederick High School. The picture, taken in the era of the old Boys High School, now Elm Street Elementary School, reveals several points of contrast with more recent high school class photos. Most obvious, of course, is the fact that the class is composed of only 19 members, all boys. It is also interesting to note that the students are pictured in a West Point type military uniform, an indication of the schools’ past presently reflected only in the nickname “Cadets,” used by Frederick High athletic teams. The students’ haircuts, on the other hand, are a bit on the full side with moderate sideburns not too different from today’s more conservative styles. Most familiar, however, are the surnames, most of which are still prominently represented in Frederick County today. No effort has been made to tell how many members of the class survived, but Principal Seaton would be pleased to hear from any who might still live in the area. Names of those identified in the Smith Studio (of Frederick) photograph include: Clyde E. Burgee, Allen G. Quynn, Earl E. Zeigler, L. Ray Burgee, Louis A. Rice, James R. Keller, J. Ernest Haifleigh, R. Dorsey Sappington, Willis D. Witter, George L. Rothenhoefer, Dean W. Hendrickson, David L. Johnson, William H. Solt, Marvin L. Shirley, Prof. Amon Burgee, Edgar J. Eyler, J. Roger Fisher, L. Travis White, John L. Shaw and J.F. Minor Simpson. Educational counter-revolution by St. John’s College, Annapolis, shared discussion with the shortage of Maryland oysters as topics of discussion before the Wednesday luncheon meeting of the Frederick Rotary Club. Dr. John Spangler Kieffer, president of St. John’s College and also of Annapolis’ Rotary, described the 100-book foundation of knowledge system inaugurated by the school in 1937. W.R. Slemmer, chairman of the local Rotarians’ committee for an oyster-roast to be held later this month, changed the after-dinner talk of members from the day’s topic of “Education in Revolution”, to “will we be able to get oysters to roast?”, when he refused to continue sale of tickets for the proposed affair, until weather conditions and the bivalve market assures delivery of the food. The highly honored Harvard graduate was made president of the Annapolis college last year, succeeding Stringfellow Barr in continuing the “nationally observed new-trend for education, started in 1937.” President Kieffer’s wife, the former Miss Roxanna White, is a native of Frederick. Dr. Kieffer explained that the St. John’s program is actually a revolution against the nineteenth-century revolution in education. That classical education of the past hundred years was not the complete fundamental knowledge necessary to developments of laboratory sciences and that elective courses were a compromise which undergraduates are not capable of choosing. He deplored over-specialization in teaching undergraduates and summed up the program of his college system, as one intended to complete adolescence of students by training the mind to think generally and adultly; thereby being acquainted with the “principles” of the civilization in which he will live. “We are living through a revolutionary period, as evidenced by the present loss of standards, faith and belief in things,” Dr. Kieffer said, “There is skepticism, dogmatism, on every hand. There is a general lack of knowledge and faith in fundamentals. We have lost the stability of the nineteenth century minds, because the atomic bomb disproved Maxwell’s system of physics,” the speaker concluded. Women may control the wealth of the country as statistics indicate, but it was the men who defended its economic system as opposed to the Communist theory in a lively final session of the Great Books Seminar in the C. Burr Arts Library, May 2 during the discussion of the Communist Manifesto. John S. Kieffer, director of adult education at St. John’s College, Annapolis, who has been conducting the Seminar, presented. The session concluded with a party given by Between-the Book-Ends Club in honor of Mr and Mrs. Kieffer…. In 1920, Mrs. White and Roxanna are still living in Frederick, MD, sans father, and Littleton Travis White is a roomer in Virginia, practicing law. Living in El Paso, Texas, with his mother-in-law, young wife, and baby daughter. To My Mother, not My Wife. All this for a poem! WHAT THE MINERS ARE ASKING. It is well for the public to bear in mind what the bituminous miners are demanding. They want a sixty per cent increase in their hourly rate, a six hour day and a five day week. They are willing to work just thirty hours a week, and no more, if their leaders are to be believed. Will they mine more coal? No, the output will be much less. More is needed to supply the demand, but that makes no difference to them. Where is the money to come from to pay this increased cost of mining the coal? Out of the public. If the strikers get what they demand the price of coal will be increased approximately two dollars a ton to the consumer. Nice prospect the consumer is facing, isn’t it? 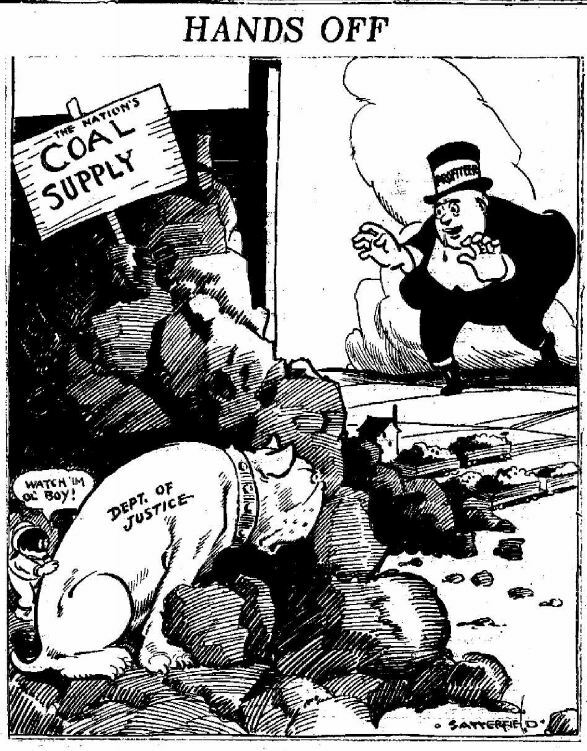 If the miners don’t get what they want he doesn’t get any coal. If their demands are granted he must fork over $2 more every time he orders a ton of coal. Poor consumer! He is always getting in the neck. Somebody’s slugging him all the time. Wonder how long he is going to stand for it? Greediness and stubbornness have paralyzed the pits. Hear the chorus all uproar’ous giving Garfield fits! For everybody’s grouchy when the coal-pile quits. 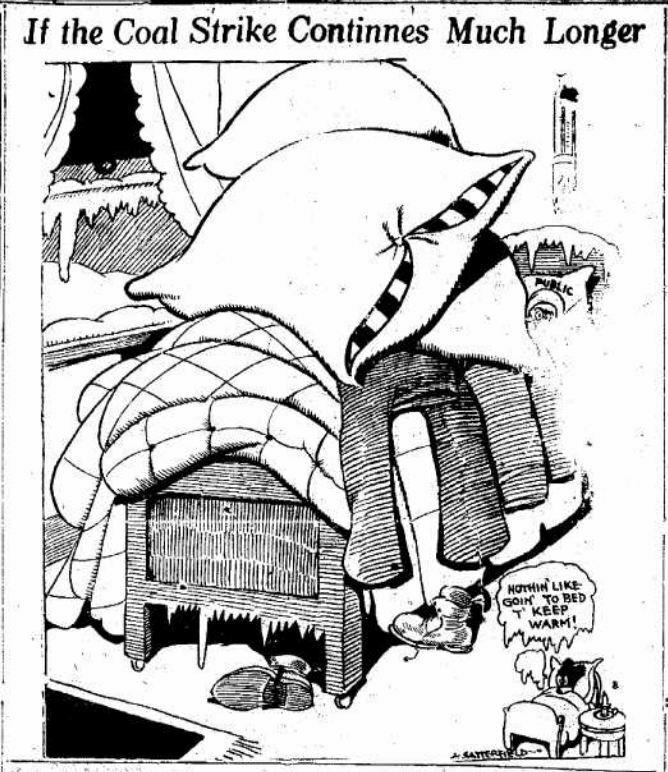 When you fell the furnace you must wear your woolen mitts. For everybody’s frosty when the coal-pile quits. 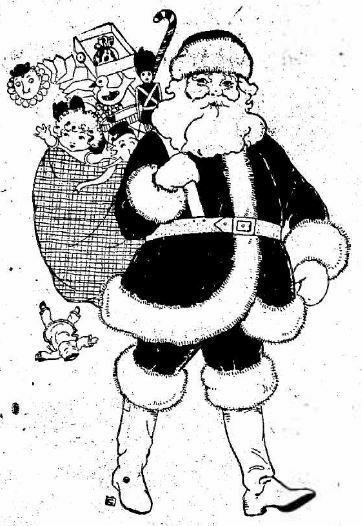 Santy Claus is smiling as the coal-pile quits. To swear off wearing shoes. To swear off burning coal. Unless he swears off eating. The word he’d like to say! Did you ever see anyone work so slow? The more they get the less they do! But never again will they work, I fear. Why work at all, when they’re working you? The more they get, the less they do. Not a cackle occurs for a month or so. If only the Congress would never meet. The more they get, the more they do. We get that much for a single verse. The more we get, the less we do. 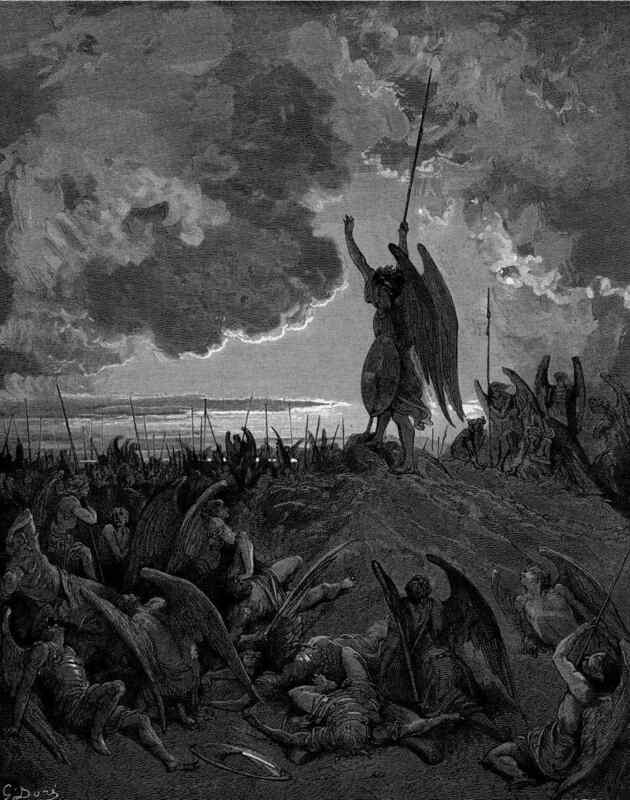 Did you ever read Paradise Lost clear through? That’s the reason the less we do! Ashtabula, Dec. 17. 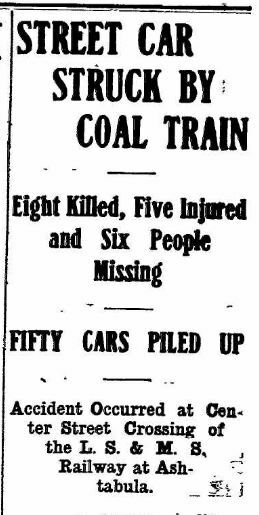 — Eight dead and seven injured was the toll of the wreck here last night when a Lake Shore and Michigan Southern coal train struck a street car. Two additional bodies, that of David Stowe and Mrs. Rose Thompson were found today. All of the injured are expected to recover. 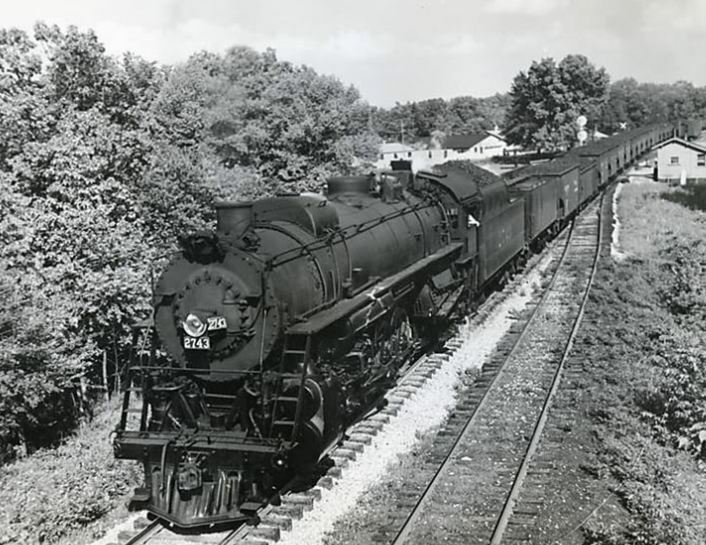 The coal train crashed into a street car on the Ashtabula Transit Line at the Center street crossing. The car, which was carrying passengers down town, was struck in the middle and demolished. Miss Laura Leaphart, aged 20, daughter of C.H. Leaphart, this city. Mrs. W.H. Cook, aged 45, this city. Mrs. Geo. Kitson, aged 38, this city. Mrs. Frank C. Barttell, this city. Ralph Cluff, leg and arm broken; may die. Mrs. C.P. Hendershot, badly cut about the face. Volna Barttell, aged 7, daughter of Frank Barttell, head injured and wrist broken. Mrs. Stewart, cut and bruised. W.P. Guthrie of Erie, Pa.
Mrs. Eva Pancoast and 12-year-old daughter. James McCutcheon and Thomas Mullen, motorman and conductor respectively of the street car, escaped serious injury. McCutcheon is being held pending an investigation. The conductor’s register book, which was found among the wreckage, showed that 13 fares had been collected. It is believed that several other bodies are buried beneath the wreckage. From the appearance of the wreck, it is thought that the engineer, seeing the car in front of his train, suddenly applied the brakes. Fully a dozen cars, filled with coal, were piled 50 feet high. Workmen started at once to dig away the coal which covered the debris of the street car. It is said that the gates at the crossing were not down and that the watchman, on duty at the time of the collision, is missing. Eighty feet of the wall in the brick building occupied by the Richards Bros., wholesale grocery was caved in by the derailed cars. A large hole was torn in Fred Dorman’s grocery and a load of coal dumped inside. The Center street crossing is the most dangerous in this city, as four tracks must be crossed by the street cars. And firmly sets his jaw. In cooking cranberries it is well to remember that they should never be put into a tin dish. Either agate or porcelain dishes should be used. Cranberry Conserve. — Extract the juice from an orange, then cover the peeling with cold water and cook slowly until tender. Scrape out the white bitter part and cut the peel into narrow strips with the scissors. 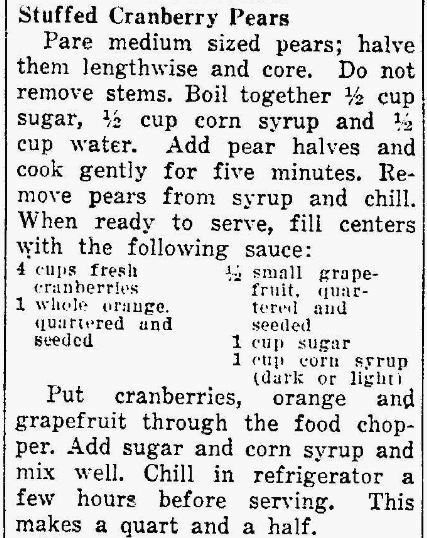 Simmer one and a half cups of raisins until tender; add the orange peel and the juice and a quart of cranberries. If needed, add more water to make a cupful of liquid. Cover and cook for ten minutes or until the berries are done. Then add two cups of sugar and simmer until thick. Cranberry Trifle. — Cook a quart of berries with one pint of water until the berries pop open; rub through a sieve, return to the fire and add one pound of sugar. Stir until it is dissolved, then let boil two minutes; cool and beat until light with a wire egg beater, then fold in the stiffly beaten whites of two eggs. Pile in a glass dish and serve. Cranberry shortcake and cranberry pie are old favorites for desserts.. Baked Apples With Cranberries. — Select large, perfect, sweet apples, remove the cores and fill the cavities with thick cranberry jelly. Set the apples in a pan of water in the oven, and bake until the apples are done. Put each apple in a glass sauce dish and serve with whipped cream. Cranberry Roll. — Cream two tablespoonfuls of butter, add a cup of sugar, a half cup of cold water and two cups of flour sifted with a tablespoonful of baking powder and a dash of nutmeg. Beat until perfectly smooth, then add another cup of flour and roll out the dough to an inch in thickness. Spread thickly with jam or jelly, roll up closely, pressing the ends together. Lay on a plate and steam for three hours. Cut in slices and serve with cream. Inspect and wash 1/2 pound of cranberries. Make a think syrup by boiling the sugar and water for 10 minutes. Add the cranberries to the syrup and simmer until they are clear and transparent. Pour this into the bottom of a cake pan. Mix the flour, baking powder, sugar and salt. Blend the butter with the dry ingredients. Beat the egg with the milk and add to mixture. 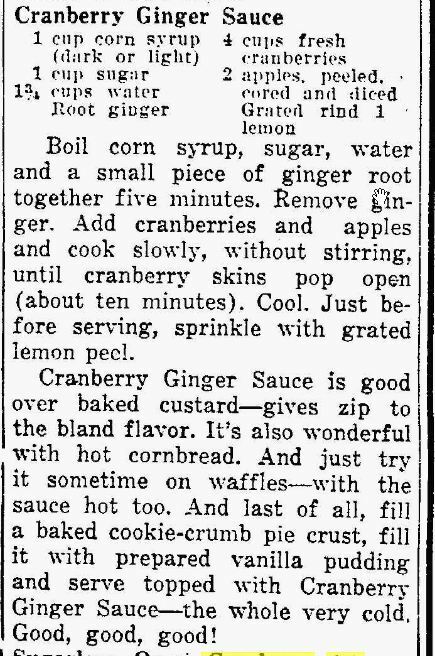 Spread this batter on top of the cranberries and bake 45 minutes at 375 degrees. Cut in squares and serve with hard sauce. This amount will fill a pan 8 inches square. Cream butter, add gradually while beating the sugar. Add vanilla or lemon extract. Beat gradually into the mixture the boiling water. This makes unusually fluffy and light hard sauce. 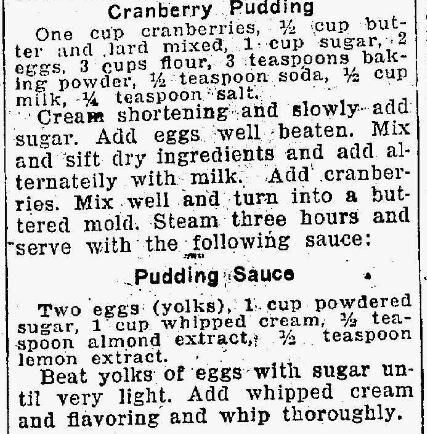 Blend together sweetened condensed milk, lemon juice, cranberry pulp and egg yolks. Pour into baked shell. This pie may also be served with a meringue made of two egg whites beaten still and sweetened with two tablespoons of granulated sugar, browned in a moderate oven (350 degrees) for 10 minutes. 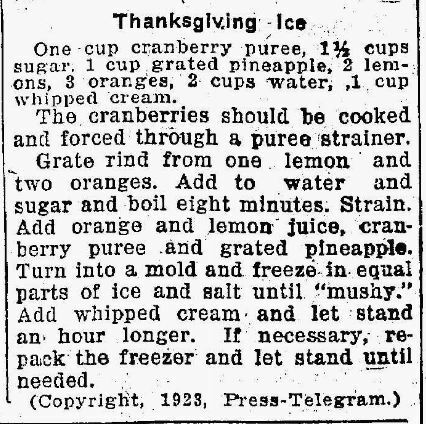 Two cups fresh cranberries, 1 lemon, quartered and seeded; 1 apple, peeled, cored and quartered; 1 orange, quartered and seeded; 1 cup sugar, 1 package fruit-flavored gelatin. Put cranberries and fruit through food chopper. 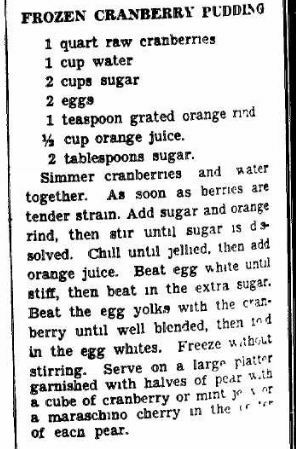 Combine with sugar and let stand a few hours to blend. Prepare fruit-flavored gelatin as directed on package, reducing water by 1-4 cup; chill until syrupy. 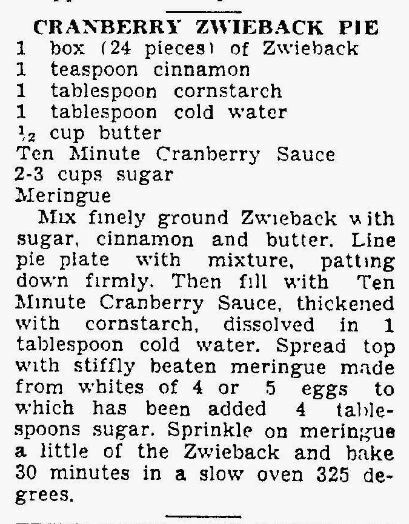 Stir into drained cranberry relish mixture. Fill mold and chill until firm. Unmold on lettuce or watercress and serve garnished with orange sections. Or if you want your cranberries in the salad course, just combine pineapple and pears, bananas and walnuts, lettuce and watercress. top off with a generous handful of crunchy fresh cranberries for color and texture. 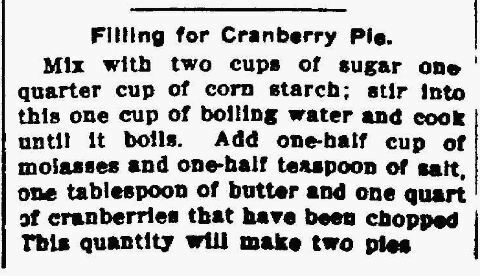 Finally — and what an old-fashioned and zestful end to the Big Meal of the Year — there’s cranberry pie. 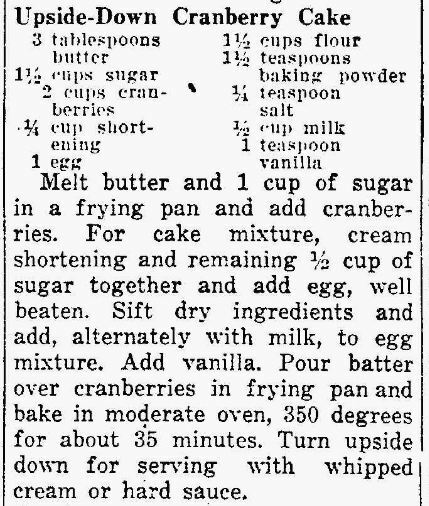 One recipe favorite pastry, 2 1-4 cups sugar, 1-2 cup water, 104 cup raisins, 2 cups apples slices, 4 cups fresh cranberries, 2 tablespoons cornstarch, 2 tablespoons water. Roll out half pastry and fit into 9-inch pan. Combine sugar, water, raisins, apple slices and cranberries in saucepan. Cook until cranberries pop — about 10 minutes. Make a paste of cornstarch and remaining water, stir into fruit and continue cooking until thick and clear — about 5 minutes. Cool and pour into pie shell. Roll out remaining pastry and cut in strips. Arrange criss-cross fashion over top. Bake in hot over (425 degrees F.) 25 minutes. When one sits down to enjoy his dish of cranberry sauce or slice of cranberry pie at Thanksgiving time he is not reminded of the highly developed agriculture which is needed to produce the popular berry which has become famous along with roast turkey and mincemeat pie. The writer recently enjoyed dinner at the S.N. Whittlesay cranberry marsh at Cranmoor and later was taken for a trip over the marshes and given an explanation of the methods used to produce high quality berries. The Whittlesay marsh is among the oldest in Wisconsin and ranks as one of the three largest in the state in acreage and also production, per acre. According to the “History of Wood County” the marsh was started in 1871 when wild berries were first harvested. Later as scientific methods were discovered Mr. Whittlesay was quick to grasp their importance and applied them to his own marshes. The writer knows little about the culture of cranberries and this story is not intended as a treatise on the subject. It is intended as a story of what he saw and learned in several hours jaunt over the marshes. Much of this may not be news at all to many readers and again some of it may be incorrectly stated. If the latter is true it is unintentional. To begin with we learned that cranberry marshes must be scalped. That means that the rough surface soil must be removed in order that a level firm seed bed can be secured on which to plant the tame berry. We learned further that certain kinds of fertilizer are needed and provided which makes the berry develop to its fullest. Commercial fertilizers are applied in the middle of June. It was further learned that the common variety of berry on the average marsh is known as the Bell and Cherry. The Late Howe berry is replacing the former variety as it is firmer and more pleasing in appearance to the purchaser. The Late Howe is an eastern variety and are shipped from the east not as seed but as the young plant which must be transplanted into the fresh, slightly moistened, and well prepared seed bed. Cranberries require a great deal of attention through the blossoming, ripening and harvesting season. In fact they must be carefully watched the year around. Growing in lowlands means that frosts are more common visitors than to other crops on high ground. Flooding the marshes in the only means of combating this arch enemy of the cranberry grower. This process of flooding at once calls into play a highly developed system of engineering. Huge dependable reservoirs on higher ground than the marshes must be available to provide sufficient water on short notice. Heavy embankments are thrown up around these reservoirs to hold the water in check in flood season and prevent washouts. Gates are installed at the lower levels to control the water supply into the marshes as needed. The marshes themselves must have ditches into which the water can drain when the danger period is over. These latter ditches must also be well constructed, with gates to hold the water on the marshes until no longer needed. The Whittlesay marsh has more than a thousand acres within its limits, but a large part of it is used for water control. Harry, a son of S.N. Whittlesay, is in charge and is laying plans to increase the acreage until the marsh ranks as the largest in the west. Formerly connected with the Nekoosa-Edwards paper company, he has turned his energy toward the cranberry “game” and finds it fascinating, judging from his enthusiasm. The elder Mr. Whittlesay has been in the business for many years and his election to the board of directors of the Wisconsin Cranberry Sales company is a compliment to the membership as well as to him. He has followed the growth of the industry and knows the advantages and shortcomings. He can tell many interesting incidents of the time before men with rakes took the place of hand pickers. Many men and women were needed in those earlier days. A dance hall was a common part of the equipment on every farm. 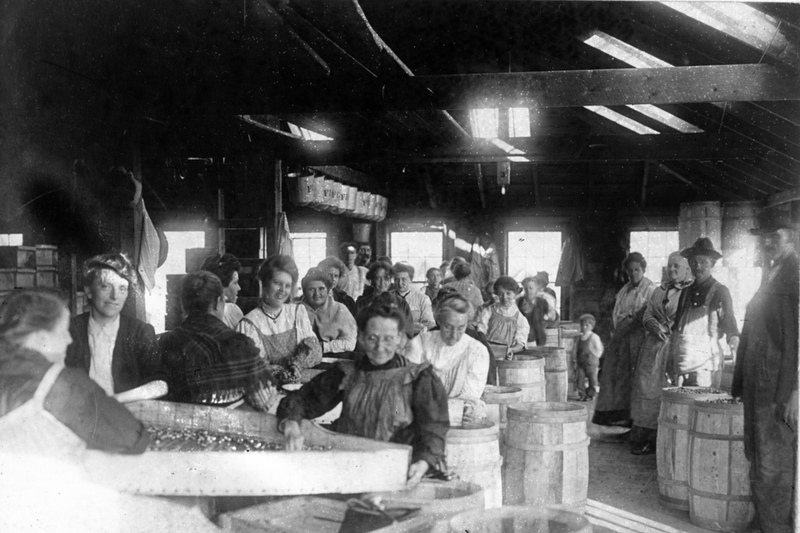 Every evening the pickers would enjoy themselves to the strains of old fashioned music. Mr. Whittlesay recalls the time when a wooden tramway with trucks carted the berries from the marshes in the Cranmoor district. During the winter season the cranberry marsh does not present the busy scene common to harvesting time. But there is important work to be done. Many loads of sand are hauled over the surface to add to the porous condition of the soil. A special quality sand can only be used to advantage. A visit to the packing house on the Whittlesay marsh was also of interest. The latest in grading devices simplified the sorting of pie berries from the others. Fanning mills blow the twigs and leaves and other rubbish from the harvested berries. Though a story of this kind could be made to include many other interesting features lack of space prevents. A visit to any of the good marshes, of which the Whittlesay marsh is one, impresses the visitor of the extent of the work, the care, the experience and trials involved in successfully catering to the palate of the American consumer for this particular variety of kitchen delicacy. Mr. Whittlesay ranks high among cranberry growers. His well kept marshes and buildings are ample proof of his success. His son is succeeding him as manager and should meet the continued success which the Whittlesay marshes have enjoyed. The visit to their home and the trip over the marshes will be an event not soon forgotten. …In 1855 Abner Whittlesey’and his family came west to Illinois, settling in Galesburg, where Mrs. Whittlesey died. Mr. Whittlesey soon after went to Lockport, Ill., and from there to Berlin, Wis., where he engaged in the cranberry business; this was in the late sixties. 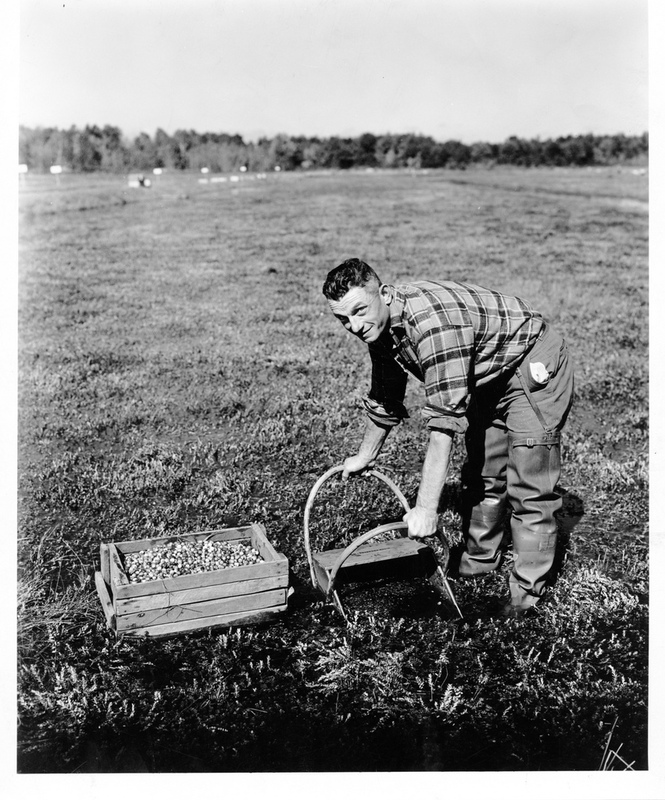 In 1870 he came to Wood County, and, together with his son, Sherman Newell Whittlesey, bought six 40-acre tracts of marsh land and established the Whittlesey Marsh, they and Theodore Bearss and Ralph S. Smith being the first cranberry growers in the township. In 1880 …. …Sherman Newell Whittlesey, subject of this sketch, coming to Illinois with his parents in 1855, was reared in Galesburg and attended the grade schools there and the high school at Lockport, from which latter he was graduated in 1867. He then spent a year in Chicago, and while there took a course in the Chicago Business College, after which he came to Berlin, Wis., and in 1870, with his father bought the 240 acres of marsh land mentioned above and established the Whittlesey Marsh in Wood County, coming here to live in 1871; his first residence in Wood County was in Centralia. 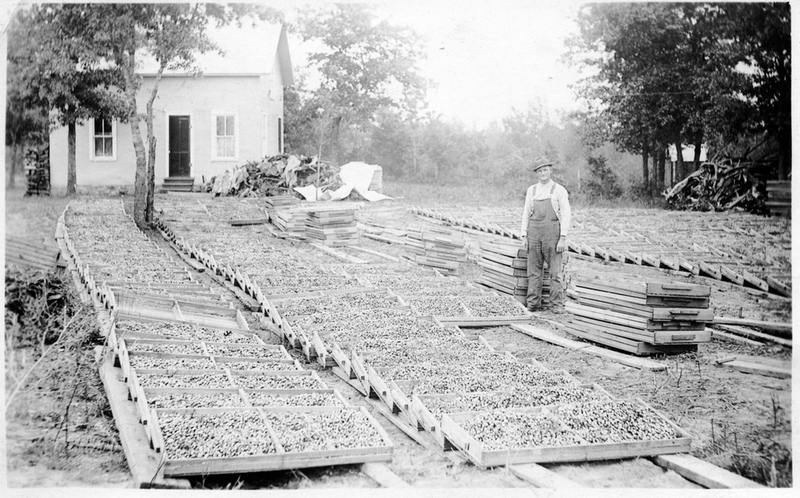 He at once began the raising of cranberries, wild berries being the only ones grown here at that time and his first crop yielding 150 barrels of this variety. As the industry developed he applied scientific methods to the cultivation of his marsh, cutting ditches, scalping the land, and cultivating the berries by the most modern methods available, on which lines he has conducted all his subsequent operations. From 1878 to 1884 he was engaged in the mercantile business with Frank Garrison at Centralia, under the firm name of Garrison & Whittlesey. In 1884 Mr. Whittlesey and family hired parties to run their marsh while they went to South Dakota. In that state they first took a tree claim of 160 acres, then a preemption claim of 160 acres, and, after proving up on this property, they took a homestead of 160 acres, building up one of the finest farms in Faulk County, S. D. They bought adjoining land until they owned 1,200 acres. 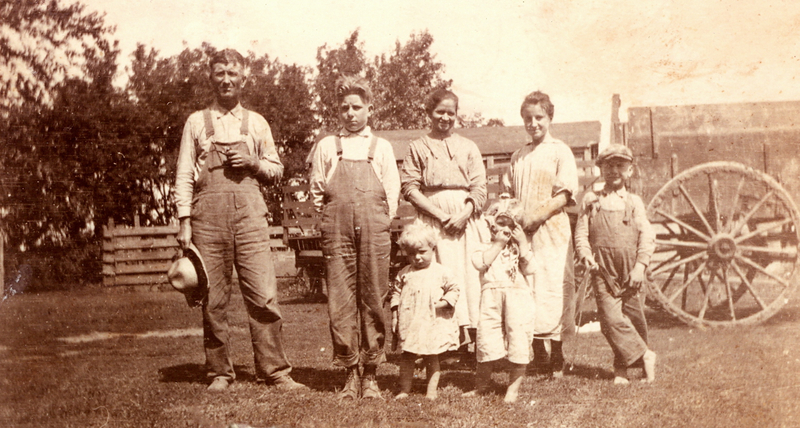 At the same time they operated a farm of 320 acres in southeastern Nebraska, which they owned, alternating their residence between the two farms, and thus conducting, with the assistance of hired help, three separate enterprises at the same time, the third being their marsh in Wood County. In 1892 they returned and took up their residence on the latter property, and here they have since made their home. They have been very successful in the industry and have become very prominent and popular residents of the community. They have increased their holdings to 1,100 acres, 67 acres of which are in cranberry vines. 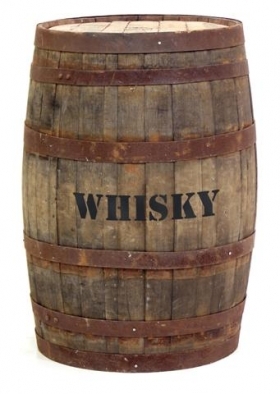 In 1921 they raised and sold 600 barrels of berries, getting as high as $17 per barrel for part of them. The place is well improved and is provided with adequate buildings for care of the crops. 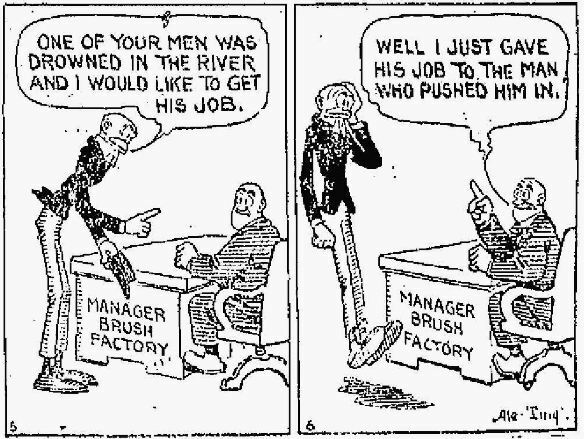 Mr. Whittlesey employs several men during the busy season. He has become an expert cultivator and has enjoyed a successful career in every way. 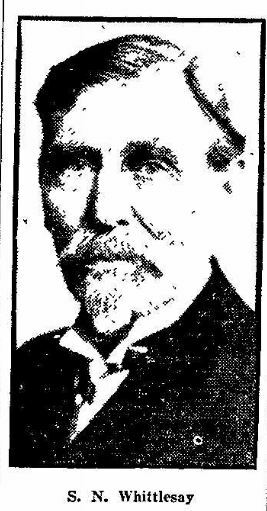 He was formerly treasurer of the city of Centralia and of Port Edwards Township, and later of Cranmoor Township. London, July 27 — Germany has just seen arriving the last contingents of the greatest mass emigration of Italians in recent years — the result of an agreement between Reichsfeuhrer Hitler and Premier Mussolini. But they are only temporary emigrants. Within the year they must all be back in Italy, the last ones returning to their native land by next December 15. Their mass coming to Germany seems almost paradoxical. The Nazis boast they have cut down unemployment by millions. But, according to their own figures, there were about 500,000 people still unemployed. 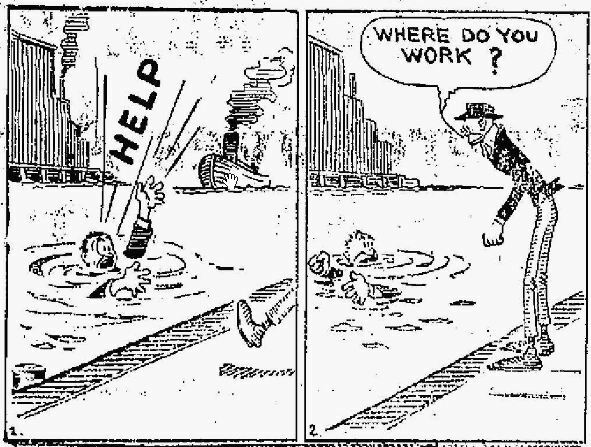 But apparently these workless ones are not suited for farm labor. 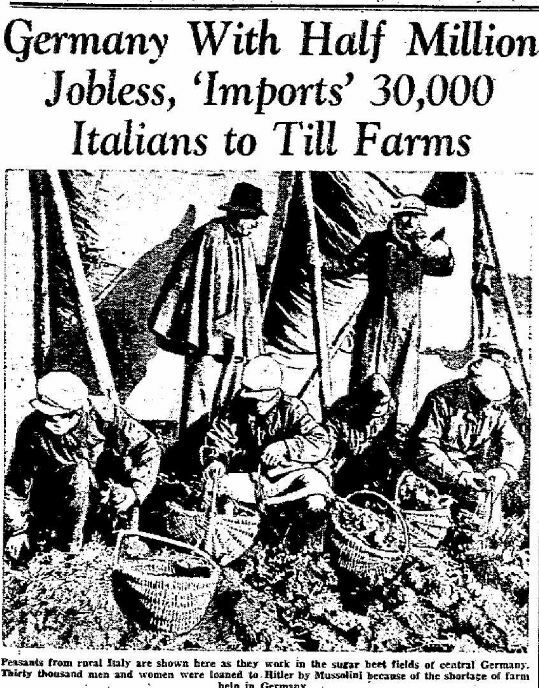 Hence the demand for Italians — 22,000 men between the ages of 18 and 40 and 8000 women between the ages of 18 and 30. In many cases the men and women are married couples, but without young children. They hail mainly from the northern provinces of Italy, there being 2100 from around Ferraro, 2300 from Padua, 1800 from Bologna, 1500 from Ravenna, 2100 from Rovigo, 1300 from Verona, 1300 from Venice and 2300 from Modena. Many of these towns are known the world over because Shakespeare laid the scenes of his plays in them. But these peasants have not gone to Germany to recite poetry or to carol. They are going to cultivate and later, to dig up sugar beets and potatoes. Last March 300 gang chiefs were sent to Rome to get their final instruction. Each gang chief is responsible for the earnest labor and good conduct of 100 peasant workers. Forty special trains took the army laborers to Germany. They have been scattered mainly in central Germany and in Saxony, Bavaria, Wurtemberg, Baden and Hesse. The temporary emigrants were not taken at haphazard. 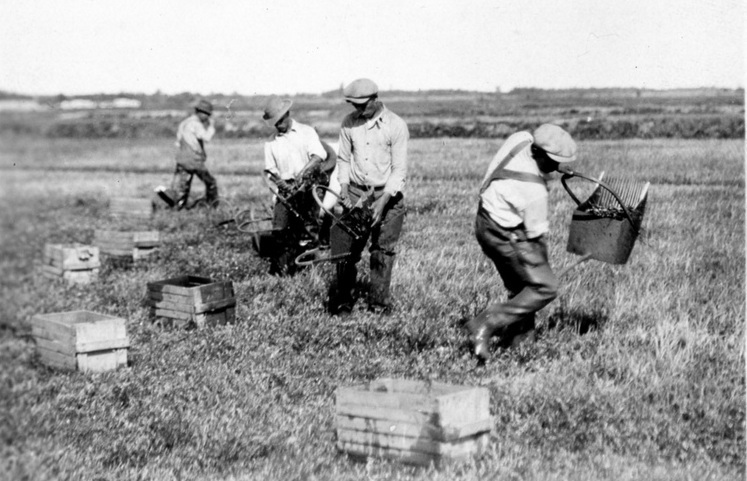 The Fascist Confederation of Agricultural Workers selected those who were known to be physically the strongest, morally the best-behaved and technically the most competent. A sort of set uniform of clothes was chosen for the men and the women and given them by the Italian central organization. They were also given a valise of a uniform type, a contract for their employment, a passport and a little guide book, filled with choice sayings by Mussolini and Hitler, glorifying the role of the peasant in the life of Germany and Italy. Germany guaranteed all the workers free railway passage to and from Germany, free lodging and meals. In addition, they get the equivalent of a German peasant workers’ wages — 7.60 lire per day — or about 40 cents. The Italian government will pay part of this to the families of the workers. In this way Italy will cut down the commercial debts it owes Germany, for what Italy pays the workers will be deducted from its debt to Germany. EIGHT PERSONS BADLY BURNED IN PITTSBURG. Employee Unable to Escape from a Big Building — Walls Fall and Crush Adjoining Houses — Many Persons Hurt in the Crowd. T.J. HEILMAN, married; dropped from the third floor to the ground; hands and face terribly burned. His injuries are considered fatal. MARTIN GRIFFITH, married; dangerously burned. EDWARD SEES, body and head badly burned; may not recover. WILLIAM COX, dangerously burned about face and body. W.M. SMITH, painfully burned; will recover. LIEUT. FRANK McCANN of engine No. 7; struck by falling bricks and left leg broken. WILLIAM WISMAN, struck by falling timbers and skull fractured. JOHN REISCHE, badly hurt by falling timbers. 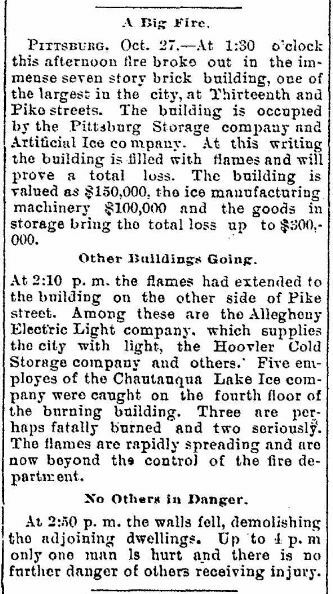 It was just twenty minutes after 1 o’clock when a number of employes on the third floor of the ice company’s buildings were startled by a loud report, and almost instantly the large room was ablaze. The men started for the stairs, but the flames had already cut off their retreat, and the only means of exit left them were the windows, fifty feet from the ground. By this time the heat was so intense that they were forced to creep out upon the window sills and hang by their hands until the fire department arrived. The flames bursting from the windows burned their hands and faces, but they hung their until the firemen placed their ladders in position and brought them down. 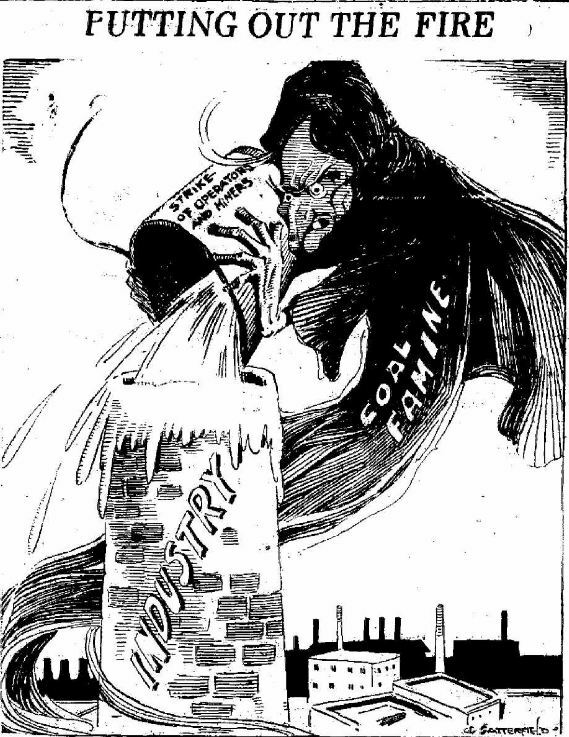 To aid to the excitement it was discovered that a large tank of ammonia was located in the cellar of the ice company’s building, and the police, fearing an explosion, quickly ordered the occupants of the houses on Twelfth street to vacate. All the houses in the neighborhood are a cheap class of tenements and crowded to suffocation with Poles and Slavs. When they were told to move out a panic indescribable started among them. House-hold goods store goods, children and everything that could be carried away were rushed to a place of safety. The walls of the Mulberry alley side fell in with a crash and a few minutes later the eastern wall came down. 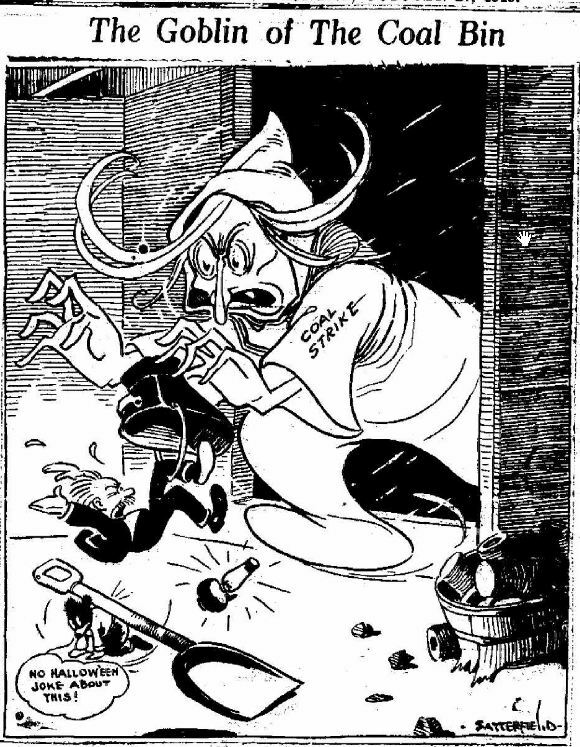 The debris buried a low row of tenements in the alley and a three-story brick dwelling on Thirteenth street. The tenements were occupied by families, but fortunately they had been deserted some time before the walls fell in. Not one of the families had a chance to save any of their goods and all their furniture was destroyed. The ruins took fire immediately, and for a while the entire tenement district of Penn avenue was threatened with destruction. When the walls of the big buildings fell the great mob of people made a rush to get out of danger. Many men tripped and fell and were trampled under foot. Several received painful but not dangerous bruises. Sheets of iron were cast from the burning buildings by the fury of the flames and hurled into the crowds. Scores of people received slight injuries, which were dressed in neighboring drug stores. Again with the whisky barrels? Really? Pittsburg. Feb 10. 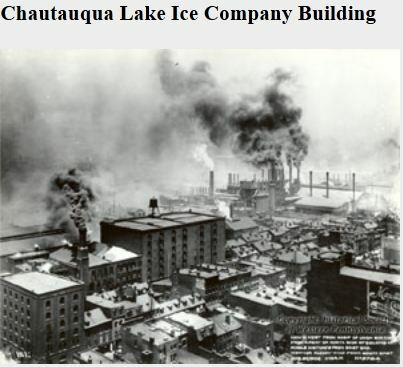 — The lost of life and property by the fire last night in the great cold storage plant of the Chautauqua Lake Ice company, was the greatest in the history of Pittsburg. At least fifteen persons were killed, over a score injured and property valued at a million and one-half destroyed. The loss of life was caused by the explosion of several hundred barrels of whisky in the ware house, knocking out one of the walls. The dead are: Lieut. of Police John A. Berry, John Dwyer, William Scott, Jr., the son of President Scott of the Chautauqua State Ice Co.; Stanley Seitz, George Loveless, Mrs. Mary Sipe and her mother; Stanley Sipe, Lieut. Josep Johnson, a fireman name unknown; William L. Wallenstein, and three unknown men. 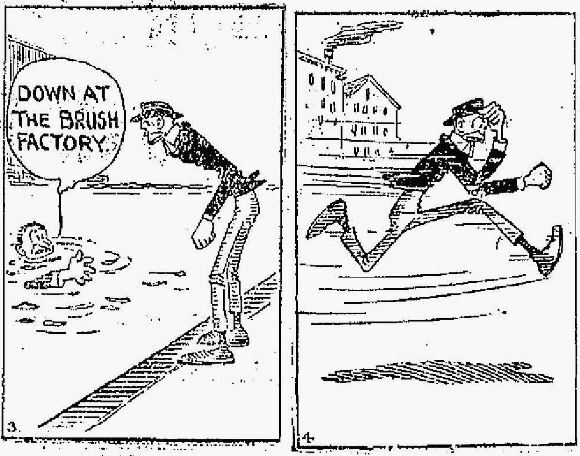 The missing are: Nathaniel Green, accountant of the Dailmerer building, supposed to be in the ruins; Thomas Lynch, iceman in the employ of the Chautaqua company, supposed to be in the ruins; Edward Berry watchman of the storage building. It is believed that at least ten more bodies are in the ruins, which are still too hot to be moved. 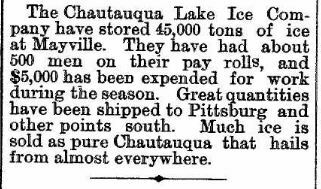 The principal losses are: Union Storage company, $775,900; Hoever’s Storage Warehouse and contents, $600,000; Chautauqua Ice company, $150,000. Three more bodies were taken from the ruins this forenoon. The dead it is now thought will reach 25. 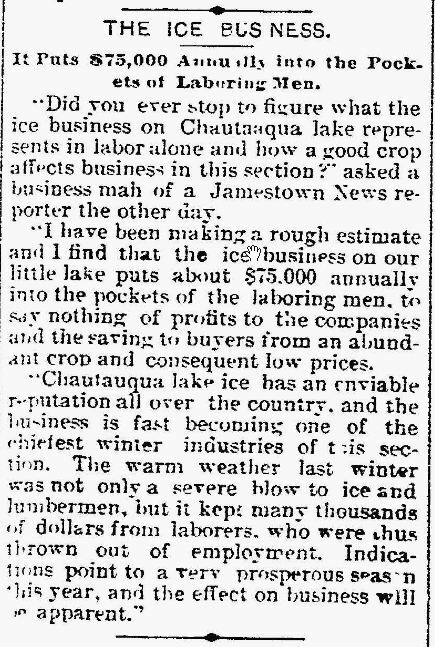 Those taken out this morning were: John Hanna, Bookkeeper and cashier of the Chautauqua Lake Ice Co.; John Scott, another son of President Scott, and an unknown fireman. Later. — But eight bodies were recovered instead of 14, as first reported. Four are missing, and the firemen believe that a number of others are still under the ruins. The correct list of the identified dead is Lieut. Police Berry; John Dwyer, William Scott, Jr., Stanley Sipe, George Loveless, William A. Wallrobenstein, Josiah Hanna, and William Smith. The missing, Nathaniel Green, Thomas Lynch, John Scott and Edwin Barry.